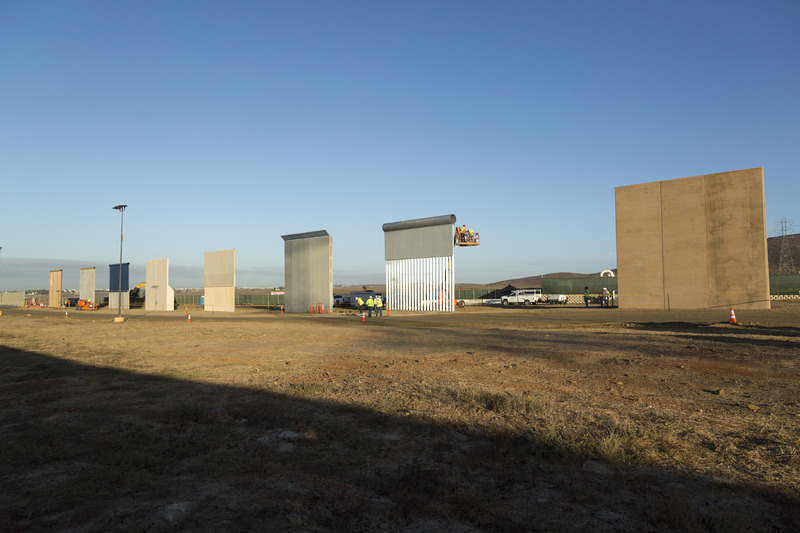 The prototypes were constructed after President Trump, in one of his first acts in office in January 2017, signed an executive order directing DHS to design and build a wall along the U.S.–Mexico border. In March of that year, DHS issued two requests for proposals, one for a concrete border wall, and the other for a wall made from any material. DHS ended up selecting four concrete options and four that mix materials. Caddell Construction, KWR Construction, ELTA North America, W. G. Yates & Sons Construction Company, Fisher Sand & Gravel, and Texas Sterling Construction were the six companies contracted to build the prototypes. The prototypes were intended to be study models, and CBP said that the final design would adapt lessons from a variety of proposals. 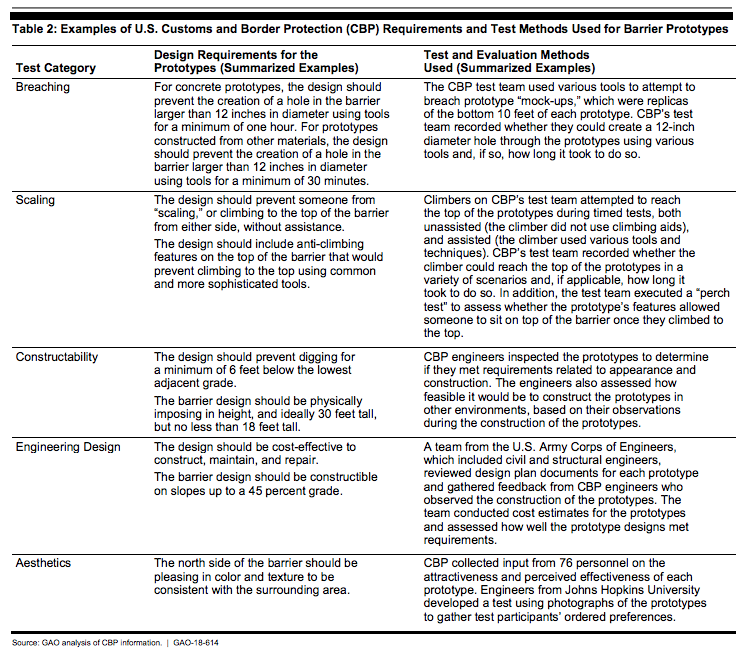 The GAO report also said that CBP tests found that all of the concrete prototypes presented “extensive” construction challenges and that the other prototypes presented “moderate” to “substantial” construction challenges. The report also found that CBP’s cost estimates were off because they hadn’t factored in the difficulty of building the wall in some of the border’s most inhospitable locations. Much of the U.S.–Mexico border runs through rough terrain that is difficult for construction equipment to access and would present significant engineering challenges. Other aspects of the walls’ performance, like scalability and breachability, were not made public out of security concerns. Engineers from Johns Hopkins University developed a test to evaluate the prototypes’ aesthetics, and they found three models “that ranked highest in terms of attractiveness,” but the report did not specify which designs were those were. The fate of the wall remains in limbo, as Congress has not authorized funding for its construction.